Cage's Compounding Fountain was a collaborative project involving Mark Stafford, Windham Graves, and Hunter Jonakin. 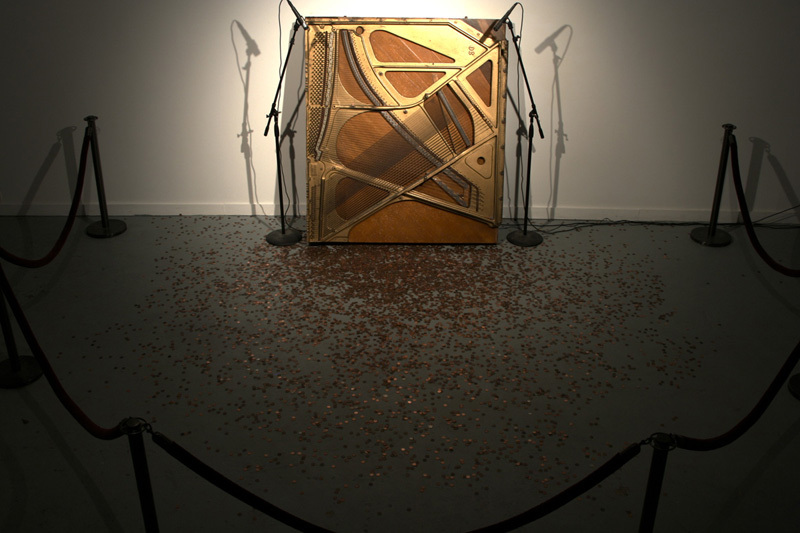 The piece included the sounding board from an upright piano, velvet stanchions, a mixing board, two dynamic microphones, audio speakers, and two laptop computers. 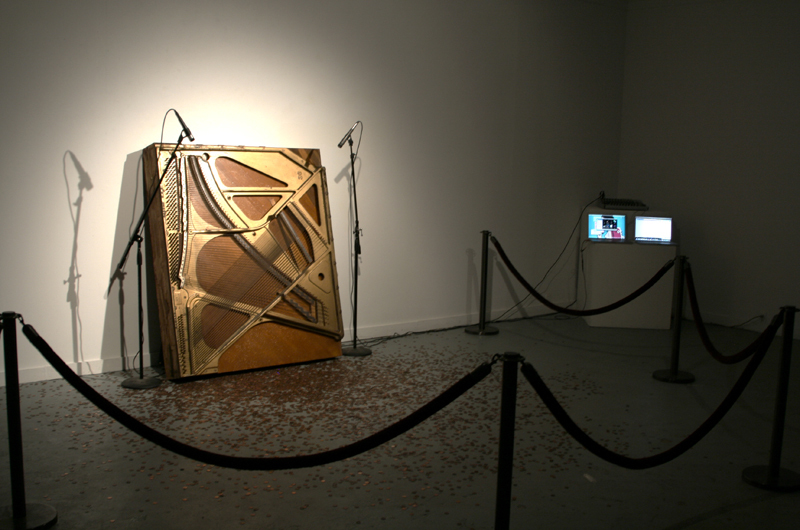 The audio speakers were placed behind the piano and connected to the two laptops via the mixing board. The microphones were placed beside the piano and hooked up to the mixing board as well. The laptops were in a perpetual loop. One would record the sounds being captured by the microphones, while the other would play back the previously recorded sounds through the speakers behind the piano. 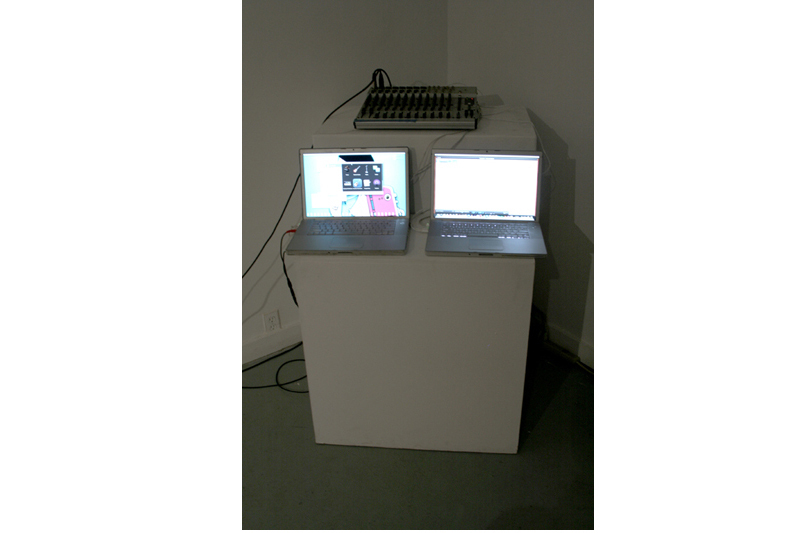 After thirty minutes the laptops would switch roles and begin either playing or recording, depending on the action that it was previously engaged in. This act of switching would, in turn, compound the previous sounds. 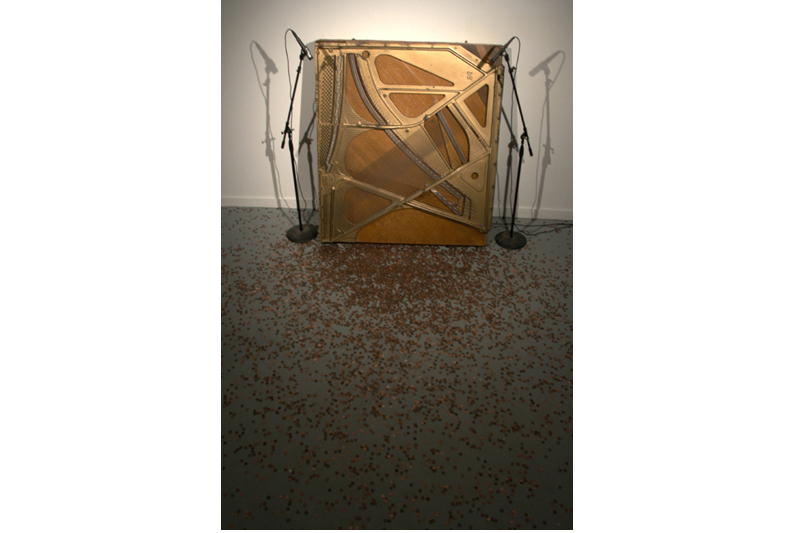 Sounds were created by viewers standing behind the stanchions and throwing coins at the piano. Pennies, nickels , dimes, and quarters were sold at the performace but the audience was free to use their own coins as well. 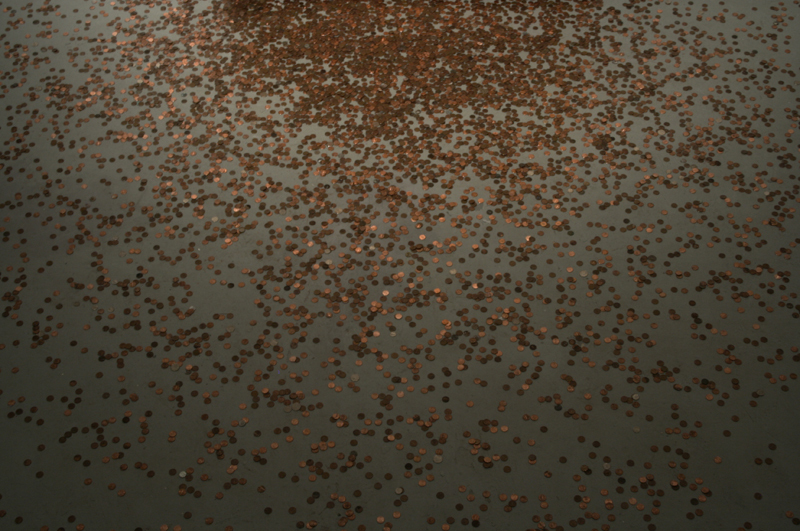 10,136 pennies, 50 nickels, 73 dimes, and 10 quarters.